We already know which eight teams from the Western Conference will be in the 2019 NBA playoffs. But the Eastern race is anything but decided. With just a handful of regular-season games remaining, five teams are fighting for the last three spots – and a tough first-round matchup with one of the Top 3 seeds in the conference. All three of those Eastern powerhouses feature prominently on the NBA odds, and they’re led by the team with the best record in the league, the Milwaukee Bucks. However, the top title favorites remain the Golden State Warriors, who have won three of the last four championships. Despite all their drama and assorted injuries, the Warriors are expected to steamroll the competition and complete the NBA’s first three-peat since the Los Angeles Lakers of the early 2000s. The Warriors were –150 heading into the New Year, but expectations are even greater now that DeMarcus Cousins has made his Dubs debut. Cousins suited up for the first time on January 18 and immediately put his stamp on the team; they won six of their first seven games at 4-3 ATS with the former All-Star center. Now that Cousins is patrolling the paint, the Warriors have the luxury of putting Kevon Looney back in the reserve lineup, giving them the bench strength they’ve sorely lacked since Damion Jones was lost for the season to a torn left pec. The Bucks (57-20 SU, 45-28-4 ATS) have moved up another notch from +850 on the NBA lines, cementing their position as the top favorites in the East. But after avoiding the injury bug for most of the regular season, Milwaukee are running into health problems at exactly the wrong time. Giannis Antetokounmpo, a leading candidate to win league MVP honors, has a sprained right ankle that he aggravated last Thursday versus the Los Angeles Clippers. Guard Malcolm Brogdon is out indefinitely with plantar fasciitis, and five other players are on the injured list at press time. Injuries are nothing new for the Raptors (54-23 SU, 34-43 ATS). Their hot start to the 2018-19 campaign was slowed down by injuries to point guards Kyle Lowry and Fred VanVleet, while Kawhi Leonard has sat out a quarter of the season for “load management.” But Toronto are close to full health, and they’ve had enough time to work Marc Gasol into the starting lineup after acquiring him from the Memphis Grizzlies at the trade deadline. Plus, Gasol and Serge Ibaka seem to perform well together in an ultra-big frontcourt when given minutes, which gives the Raptors an added wrinkle heading into the postseason. The 76ers (49-27 SU, 36-40 ATS) are starting to lose a bit of their shine. Their results since picking up Tobias Harris from the Clippers have been good for the most part, but not quite good enough to live up to the hype surrounding the trade. Joel Embiid has also been dealing with a sore left knee, and is likely to miss some or several of Philadelphia’s six remaining regular-season games. If Embiid can stay healthy, the Sixers have a puncher’s chance in the East, with Embiid and Harris joining Ben Simmons, Jimmy Butler and JJ Redick in the starting five. But can they compete with Golden State? That’s assuming the Warriors even make the NBA Finals. The Rockets (49-28 SU, 36-38-3 ATS) nearly ended their dynasty last year, and aside from the unproven Nuggets, they remain Golden State’s biggest threat in the West. A lot will depend on Chris Paul and whether his hamstrings hold up, but reigning MVP James Harden is still the focal point of Houston’s success, and he’ll be even more important in this year’s playoffs after both Trevor Ariza and Luc Mbah a Moute left the Rockets in the offseason. Basketball just might be the most important sport in the world today. It’s the No. 2 sport in the United States behind football, for now, and it’s turned into a global phenomenon, with hundreds of millions of people playing, watching – and betting. Basketball is very much a growth industry; handle has been increasing steadily by about 6% every year. Naturally, NBA betting represents the largest slice of that pie. The National Basketball Association is the world’s premier basketball league, and as their ratings climb, more and more people are learning how to bet on the NBA. Now’s your chance to join in. This comprehensive guide will show you how to bet on NBA basketball, from the basic wagers to the more complex lines on the NBA odds board. By following this guide, you’ll be ready to place your basketball bets with confidence at Bovada Sportsbook. Let’s start with the most popular form of NBA basketball betting: the point spread. NBA Spread Betting – What is a Point Spread? When people first started betting on sports, it was common to bet on which team would win a game straight-up. But in the 1940s, Charles K. McNeil, a former math teacher in Connecticut, came up with spread betting. By asking the favored team in a game to win by a certain number of points, the bet became closer to a 50/50 coin-flip. This made wagering easier for both bettors and bookmakers – and McNeil would go on to achieve great success at both pursuits. How do NBA point spreads work? LeBron James and the Heat were down 3-2 to San Antonio in their best-of-seven series, but they were still expected to win at home; the negative sign in front of their NBA odds indicates that Miami was the favorite, by 6.5 points in this case. That means they needed to win by more than 6.5 points to beat the spread. The number in parentheses help you determine how much you’d get paid. This game featured the usual –110 for NBA spread betting, so you would have bet $110 to win $100 – smaller and larger bets are allowed. In the end, Miami prevailed 103-100 in overtime after Ray Allen’s clutch game-tying 3 near the end of regulation, but it was the Spurs who covered the spread as 6.5-point underdogs. If a favorite happens to win by exactly the point spread in an NBA game, the wager is considered a push, and the money that you bet is returned to you. This can only happen when the spread is a “flat” number, meaning a whole number without a “.5” on the end. On rare occasions, when two teams are evenly matched (after considering home-court advantage and other factors), the spread for their game will be zero points. This is called a pick ‘em, and you’ll see “PK” used in place of a number. Whichever team wins this game straight-up will also beat the spread and pay out according to the odds attached. Spreads of 0.5 points are never used in NBA betting. How does “buying points” work? If you think the spread is just a little too big, you have the option of lowering it by a half-point – provided the new spread is a flat number. For example, in that epic Game 6, you could have gotten Miami at –6 instead of –6.5. In exchange, you would have bet $120 to win $100. If the Heat had won by exactly six points instead of three, the bet would have resulted in a push instead of a loss, and you would have saved your original wager. Buying points like this can be a good way to hedge your bets, lowering both your risk and your potential reward at the same time. NBA Moneyline Betting – What is a Moneyline Bet? Once again, the Heat were the home favorites, with the negative sign in front of their odds. Since there was no spread to overcome, a $275 bet on Miami would have paid out $100 after they won straight-up in overtime. The Spurs were the underdogs, and would have paid $235 for every $100 wagered had Ray Allen missed that 3-pointer. 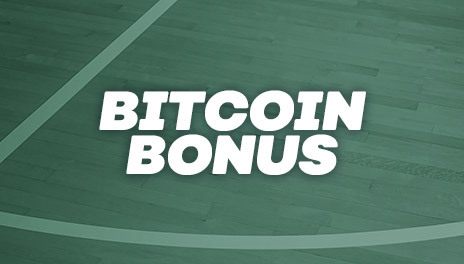 As long as you don’t mind a little math, NBA moneyline betting can be both fun and profitable – and Bovada will calculate the payouts for you automatically when you fill out your Bet Slip. Bettors like to use the term cents when dealing with moneylines. The odds you see above are an example of a 40-cent line (275 minus 235); in games with smaller favorites, you might see a 20-cent line, with one team priced at –125 and the other at +105. At Bovada, you’ll only find the moneyline offered in NBA games where the spread is 15 points or lower. NBA Totals (Over/Under) Betting – What is a Total Bet? It’s standard procedure in NBA total betting for the Over to be listed on the top; at Bovada, we provide the lowercase “o” next to our NBA totals, as well as the lowercase “u” for the Under. The total is always the same on the top and the bottom, but occasionally, there might be more juice on one side than the other – you can see the odds listed next to the total, which was 191.5 points for this game. They needed overtime to do it, but the Spurs and Heat went Over the posted total by scoring a combined 203 points, including 13 in the extra frame. As with point spreads, if the two teams combine to score exactly the number of points in the posted total, the bet is a push and all monies are returned. Pushes against the total are rare events in the NBA, since each team will score around 100 points per game in increments of one, two and three. NBA Futures Betting – What is a Futures Bet? 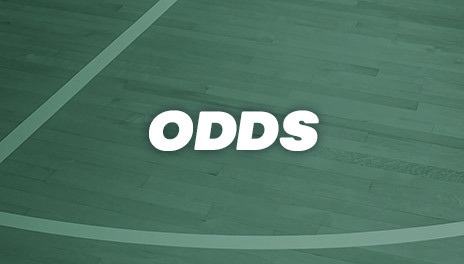 The three NBA wagers we’ve mentioned thus far – point spread, moneyline and total – all fall under game lines. Now, we'll discuss the other bet types, starting with the very popular futures bet. This is when you bet on the outcome of an event that will be decided sometime in the future, like who will win the NBA championship. You can also bet on who will win the Eastern and Western Conferences (i.e., which two teams will reach the NBA Finals), and who will win each of the league’s six divisions. You’ll find NBA futures odds throughout the year at Bovada Sportsbook, giving you the opportunity to bet on basketball anytime you like. Betting on NBA futures is done using American odds, with every team given at least some chance heading into the regular season. The odds will adjust depending on how the teams perform; once a team is eliminated from contention, it will be taken off the futures market. The Miami Heat were the defending champions in 2012-13, and during the preseason, they were available at +185 to retain their title, while the Spurs were further down the NBA futures list at +1550. NBA Prop Betting – What is a Prop Bet? These props cover potential outcomes regarding the game itself, like whether or not it will go into overtime, what the winning margin will be, or which of the two teams will be the first to reach 10 points. This is where you bet on player-specific outcomes, like whether LeBron James will score Over or Under a certain number of points during a game. Will the San Antonio Spurs go Over or Under 20 made 3-pointers? What pick will the Sacramento Kings end up with at the NBA Draft Lottery? If a prop bet involves an outcome for a specific team, you’ll find it here. The most popular NBA team props are the regular-season win totals for each club, which are posted every year before the preseason gets underway. With NBA season props, you’re betting on outcomes specific to the season in question, like who will win that year’s NBA Most Valuable Player award, or who will be named NBA Rookie of the Year. Any NBA prop bet that doesn’t fit neatly into the above categories can end up here. These specials are common during the NBA Draft, where you can bet on which player will be selected first overall, or which draft position a certain player will land at. NBA Parlay Betting – What is a Parlay Bet? If you’re making multiple NBA bets at once, instead of treating them as separate wagers, you can “let it ride” by putting all those bets in a parlay, and get paid exponentially bigger if you get all your picks right. NBA parlays are like winning the lottery (but much easier); if you put 12 “teams” (these can be totals as well as teams; some props and futures can also be used) in a parlay and they all hit, you’ll win over 2,300 times your original bet – up to a maximum of $100,000. But if you get even a single pick wrong, you’ll lose the wager. It’s the ultimate risk/reward bet at Bovada Sportsbook. How Do NBA Parlays Work? After adding between two and 12 NBA lines to your Bet Slip, select “Parlay” to combine your bets. If you wish to buy points on any of your lines, you can do so; then enter the amount of your wager. Your potential payout will be calculated for you. If you wish to remove any teams from your parlay, click or tap on the “X” beside that selection. Click or tap “Review Bets” to view your parlay. If you still want to make changes, hit “Edit” to do so, otherwise hit “Place Bets” to receive confirmation. NBA Teaser Betting – What is a Teaser Bet? Instead of buying half a point to change the spread on an NBA betting line, what if you could buy up to six points? And what if you could do that for every line in your parlay? That’s what NBA teasers are all about. Your potential payout will be lower, and you’re limited to a maximum of 10 teams instead of 12, using only point spreads and/or totals. In exchange, your bet will be much more likely to pay out. Unlike the original parlay, this NBA teaser would have paid out after Miami won by three points. And it would have paid out at even money instead of the standard 2.645-to-1 for a 2-team parlay. If you want to move the lines even more, you can place sweetheart teasers instead. NBA sweetheart teasers must contain at least three teams, and you can tease by any flat number of points between seven and 13. However, as the points go up, so does the number of teams you must include in your teaser. 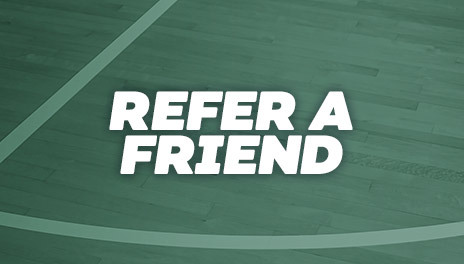 You can view all the rules, parameters and payouts by visiting the Help section at Bovada. 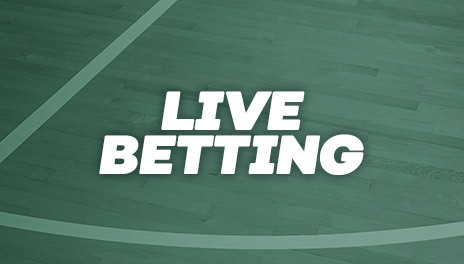 Last, but by no means least, we come to the most exciting way to bet: live betting on the NBA, where you can bet on the game while it's in progress. Point spread, moneyline and total odds are updated in real time, and other bets will be offered, like whether the next shot will be made or missed. This feature has only been around a short time, but it’s already taking over sports betting – especially when you use your mobile device and bet live from anywhere you happen to be, even while you’re at the arena watching the game in person. All this and more is waiting for you at Bovada Sportsbook. With this guide, you are now up to speed on all the different ways you can bet on the NBA, from game lines (point spread, moneyline and total) to the more complex wagers like NBA team props and teasers. If you haven’t done so already, create an account at Bovada and get in on the action; you can check out our Sports FAQ and Help sections for more information, and Customer Service is available for you 24/7. See you on the court.